Today is the official re-issue of The Brown Tape from Wu-Tang's Ghostface Killah & Detroit producer Apollo Brown. Originally made alongside "Twelve Reasons To Die" as an alternate version intended only to come out on tape, the Apollo Brown produced sound quickly became a behind the scenes classic. Apollo Brown and Mello Music decided to bring the album home and officially re-issue it for the people. The digital version is available today everywhere, the CD & Vinyl hit stores in March. This project is a daring, full-length Crime/Horror concept album. Executive Producer, and Ghostface Killah's longtime Wu-Tang Clan collaborator, The RZA refers to the album as "groundbreaking" in the hip hop genre. 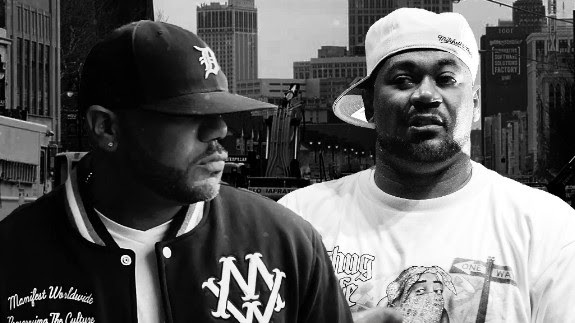 Apollo Brown was asked to record an alternate album at the same time as Adrian Younge created “Twelve Reasons To Die.” Keep in mind, the legendary Detroit producer (Apollo Brown) was given access to Ghostface Killah’s recordings and constructed beats around GFK's work. This made the project one of the producer's most challenging projects to date. That hard work has paid of as “The Brown Tape” is also one of the best albums to date from Ghostface Killah or Apollo Brown. Cinematic and nasty, this is Hip-hop at it’s most raw.